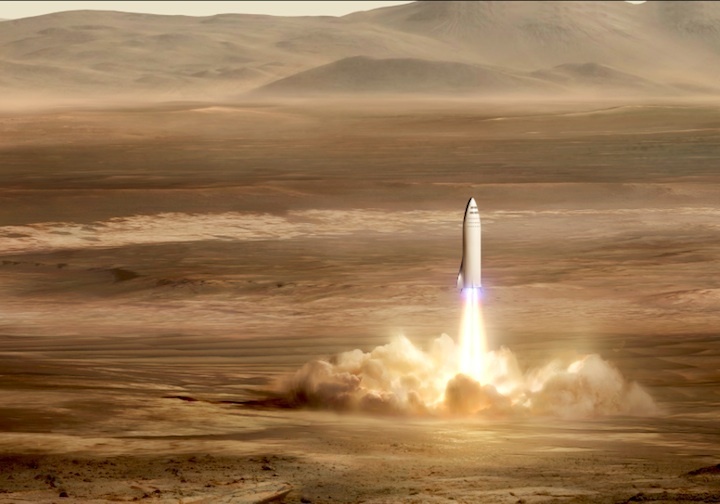 Our aspirational goal is to send our first cargo mission to Mars in 2022. 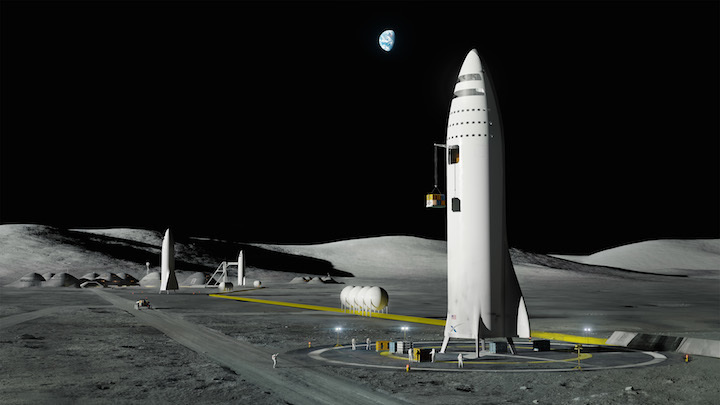 The objectives for the first mission will be to confirm water resources and identify hazards along with putting in place initial power, mining, and life support infrastructure. 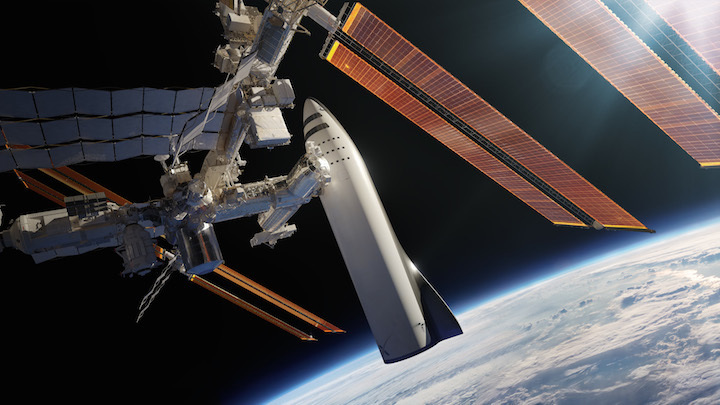 A second mission, with both cargo and crew, is targeted for 2024, with primary objectives of building a propellant depot and preparing for future crew flights. 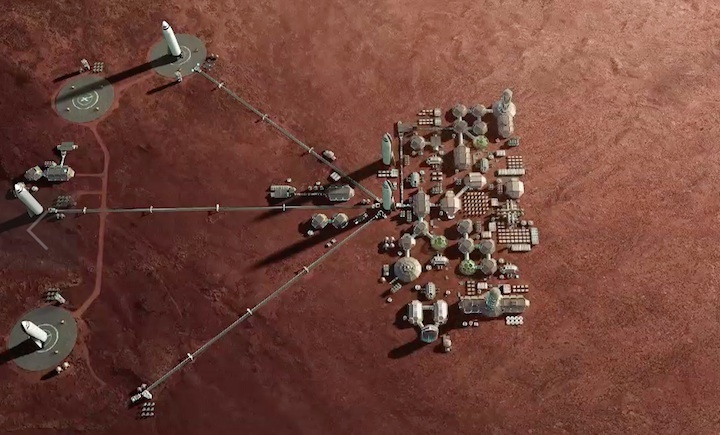 The ships from these initial missions will also serve as the beginnings of our first Mars base, from which we can build a thriving city and eventually a self-sustaining civilization on Mars. 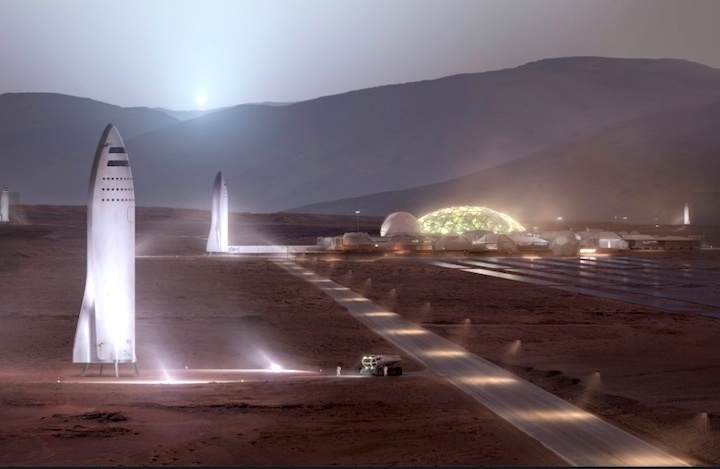 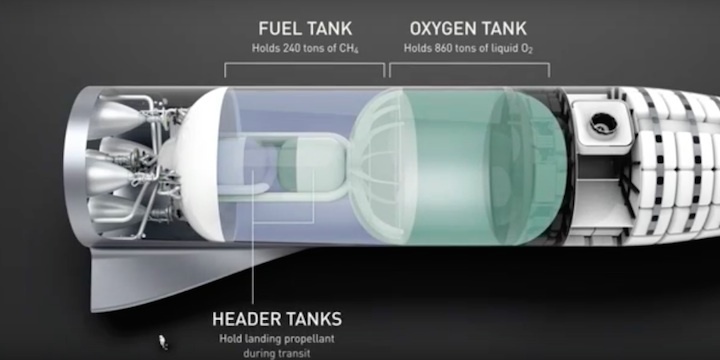 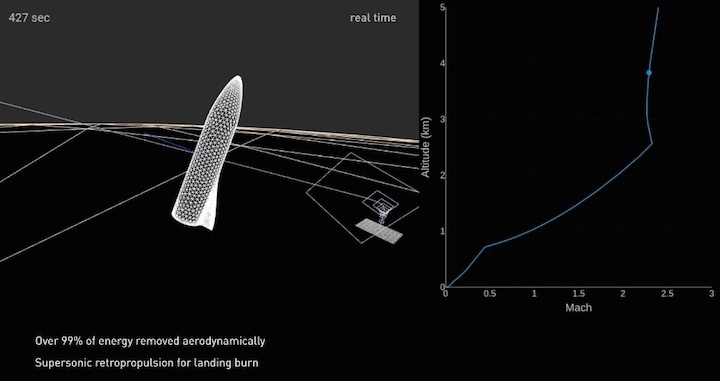 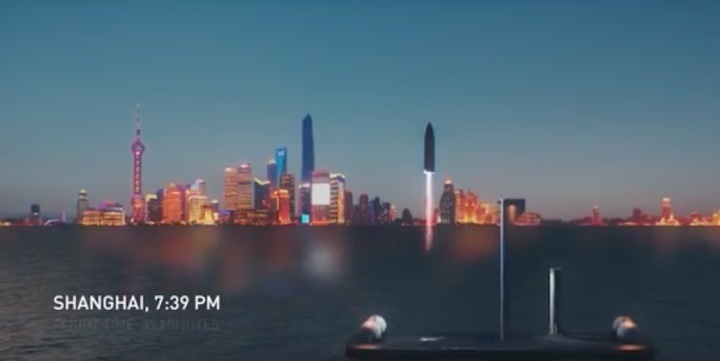 BFR will enter the Mars atmosphere at 7.5 kilometers per second and decelerate aerodynamically. 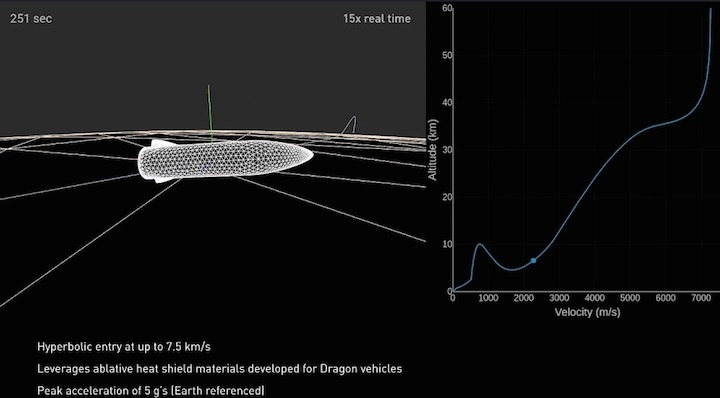 The vehicle’s heat shield is designed to withstand multiple entries, but given that the vehicle is coming into the Mars atmosphere so hot, we still expect to see some ablation of the heat shield (similar to wear and tear on a brake pad). 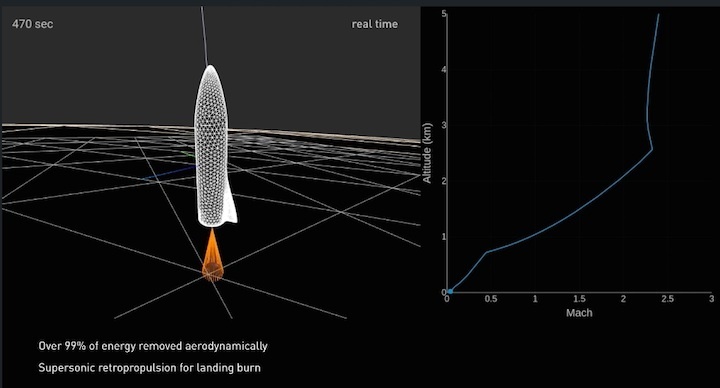 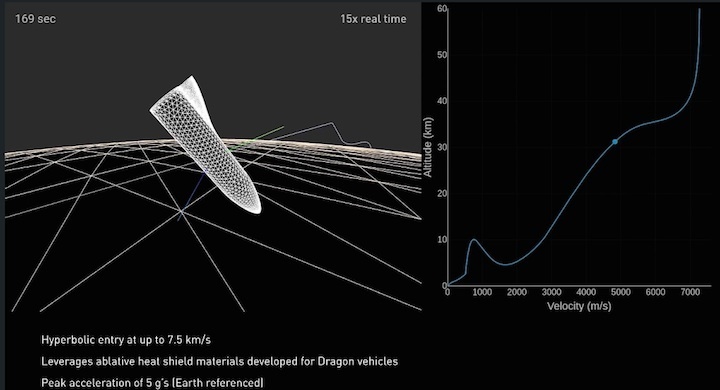 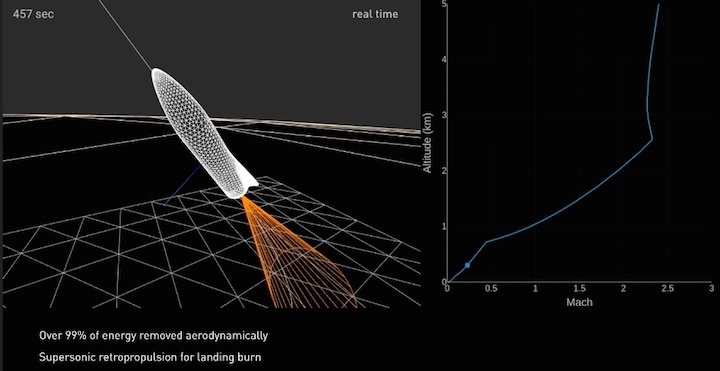 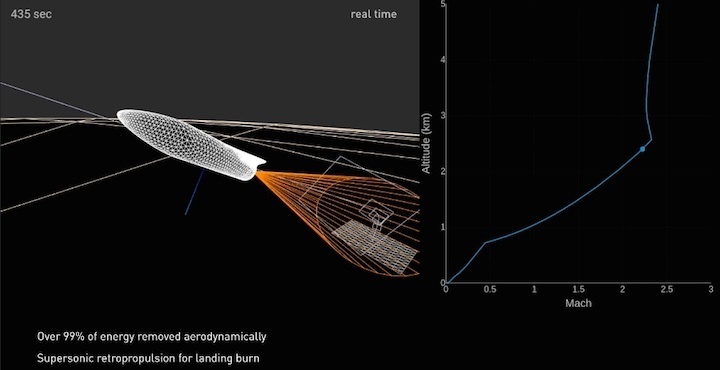 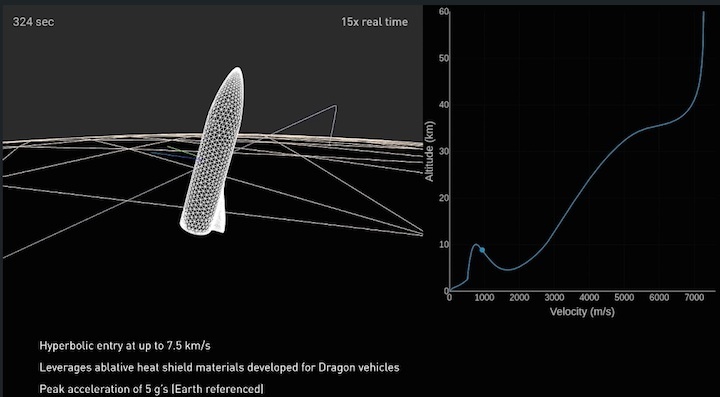 The engineering videos below simulate the physics of Mars entry for BFR. 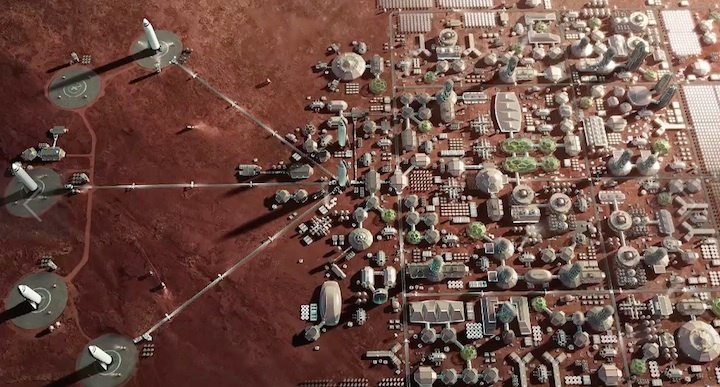 An important question we have to answer is “how do we pay for this system?” The answer lies in creating a single system that can support a variety of mission types. 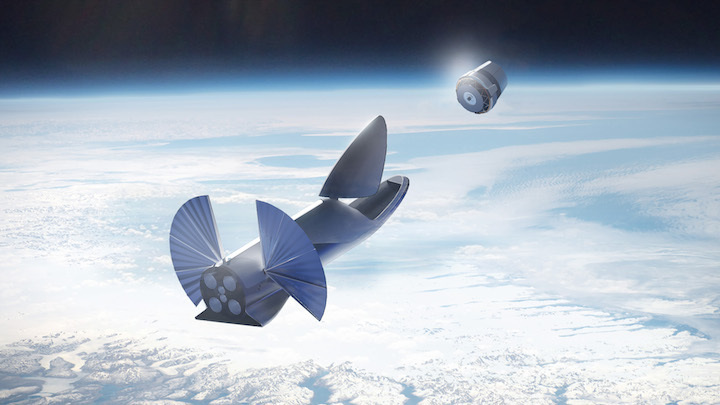 In turn, SpaceX can redirect resources from Falcon 9, Falcon Heavy and Dragon to this system. 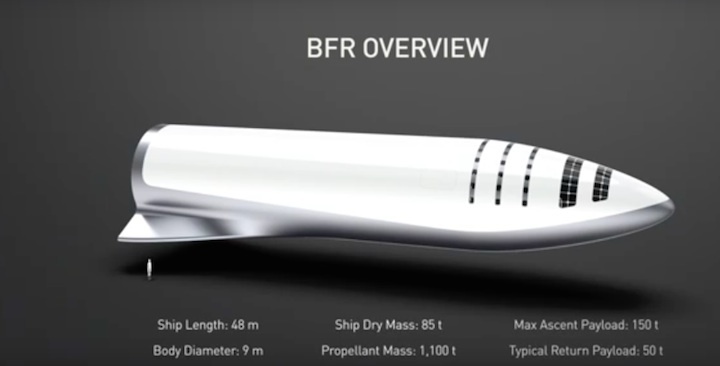 With BFR, most of what people consider to be long distance trips would be completed in less than half an hour. 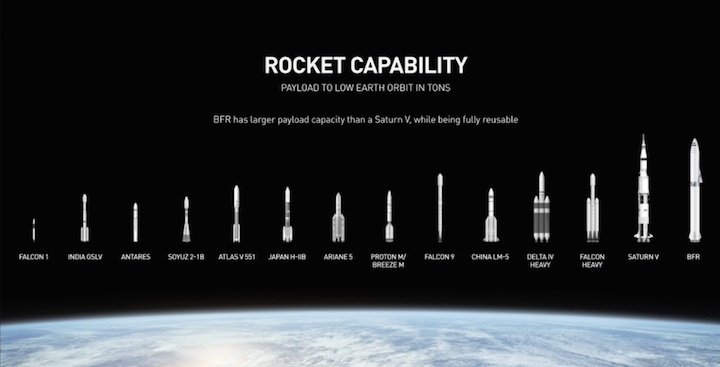 In addition to vastly increased speed, one great thing about traveling in space is there is almost no friction. 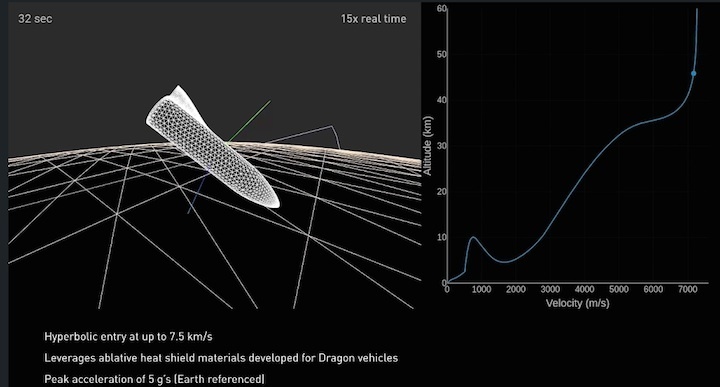 Once the ship leaves the atmosphere, there is no turbulence or weather. 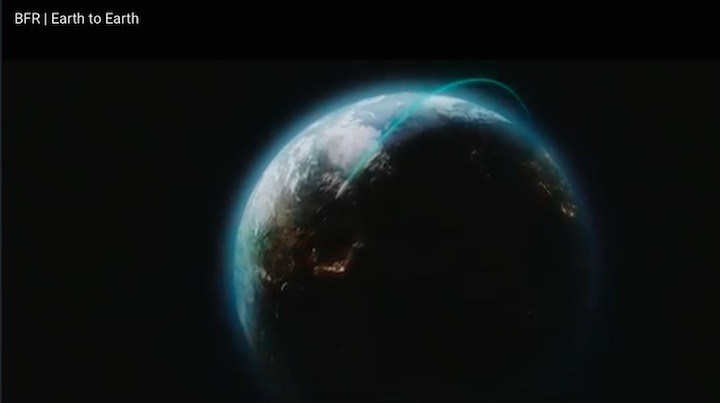 Consider how much time we currently spend traveling from one place to another. 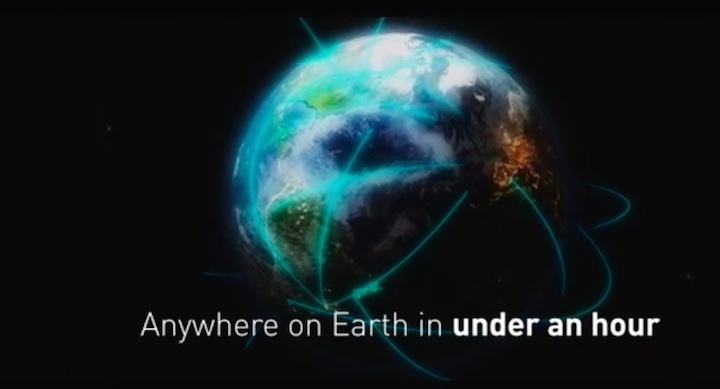 Now imagine most journeys taking less than 30 minutes, with access to anywhere in the world in an hour or less.